REGGIE has seen the worst of times! 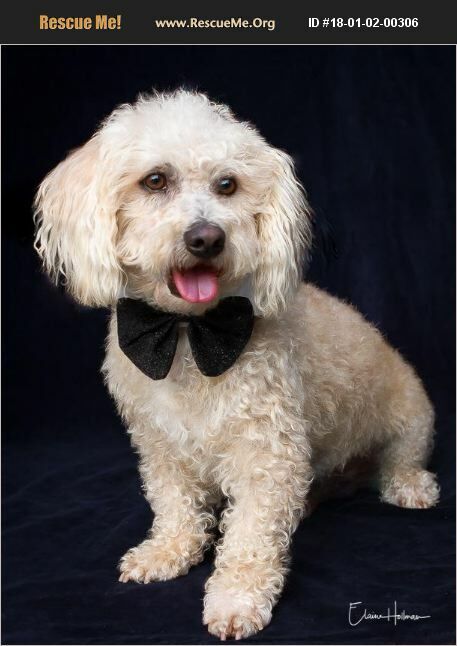 This precious 2 yr. old Poodle boy was found cowering in the back of a high kill shelter. He appeared to have 'given up', and trusted NO one. After several months of much love and intense rehabilitation, he is now a bundle of happiness with a big smile and a constantly wagging tail. He LOVES to romp and play with his fur-friends and to take long walks. He is housebroken, is very smart and gives some of the most grateful little kisses ever. Reggie is best suited for an ADULT family who can give him lots of love and attention. Having other furkids to play with would be great for him too. Please note that REGGIE is AVAILABLE for ADOPTION in CA only. His Adoption Fee of $225 includes Neuter, Microchip with Registration, Up-to-Date Vaccines and Grooming. If you'd like to submit an online application for REGGIE, please go to our website at www.saveasmalldogrescue.org Thanks!